Monterey Bay Aquarium has a rocking chair in the diaper changing area of the restrooms where moms can sit to nurse their babies. If pumping or breastfeeding in the restroom is not ideal for you (dedicated nursing rooms preferred) the museum is very nursing mother friendly and welcome moms to nurse anywhere within. 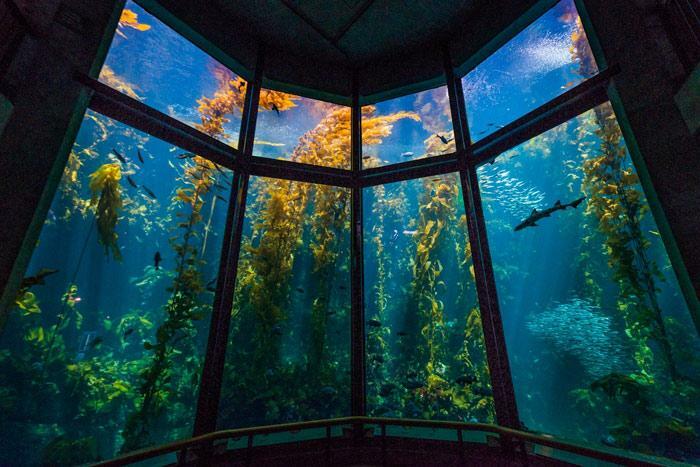 "My favorite was the Open Ocean exhibit at the Monterey Bay Aquarium. There is a quiet little bench right by the pump room in the back of the exhibit. A nice quiet hum, dark lighting, and beautiful sea creatures to watch while nursing my daughter to sleep, what more could a girl ask for!" "It is very baby friendly, with lots of elevators and dark, quiet places to nurse. During the summer I highly recommend going during the last 2 hours before they close when it slows down a bit."